From melting snow to rain, your home deals with a lot of water and moisture on a consistent basis. Because of this, it is important to ensure that your home is properly graded to prevent the water from moving towards your home and seeping into the ground. Knowing if your yard is properly graded can prevent significant damage long-term. The longer you wait the worse the potential damage can be, even if you are not seeing it yet. Collected water may not mean much to wide open, natural landscapes, but for a home or business property, it can be devastating. Whenever it rains, or snow melts, some of the water does get evaporated, but the vast majority of it seeps into the ground. Again, this is a natural process that is helpful for any parts of land without strictures, but it can mean disaster for your home. When water seeps into your property’s soil, it can cause the ground to shift, while also penetrating your foundation, and even piping. Water damage to any type of structure can create irreversible damage that will lead to the loss of structural integrity. Walls can shift, floors can become uneven, a roof may even fail — and all of this is caused by water. Prevention is the only way to preserve your home’s foundation and create an ideal environment for your home to remain intact for decades. Grading is used to create a slight slope that moves away from your home, causing the water to move away with it. You will still get a little water seepage, but nothing over what can be considered a helpful amount for vegetation. When homes are first built, grading is always done before and after the construction process. The initial grading is part of the site preparation, and further grading is completely once the home is built, before grass is laid and landscaping developed. Grading can obviously be eroded over time from the elements. Homes that have been around for several decades are most at risk of this, and need to be checked every so often to ensure that grading is still functional. It may not be apparent from a simple eye test. Many homes have drainages systems that can absorb the water and move it elsewhere, but grading is still needed . Grading will work in conjunction with drainages, keeping water away from you foundation while also directing it towards your drainage system. In fact, some homes on large acreages create large draining system with man-made ditches that carry the water away from certain areas and into a drainage area or pond. Grading is needed to direct the water to these pre-determined areas. This is actually a very simple process, and does not necessarily require any tools or advanced knowledge. The first thing you can do is stand in your street and view your yard from the front to see if it has a slight slope up towards the house. Do the same in your backyard, as far from the home as you can be to get an accurate view. If the yards have a slight upward slope, you are off to a good start, but that does not mean you are in the clear. Come closer to your home and examine the areas within a few feet on your walls. Do they have indentions where water can collect? This can trap water that seeps into your foundation, even if the yard is sloped away from your home. These areas need to be filled up and sloped with the rest of your yard’s grading. If you are not sure if there is an issue, go check these areas right after a rain to see if water has pooled. Check your gutters to make sure they are depositing roof water into the right areas as well. Backed up gutters can overflow into your yard and create depressions that can begin to collect water over time. Grading usually requires fill dirt to create a surface that retains its shape and even surfacing. 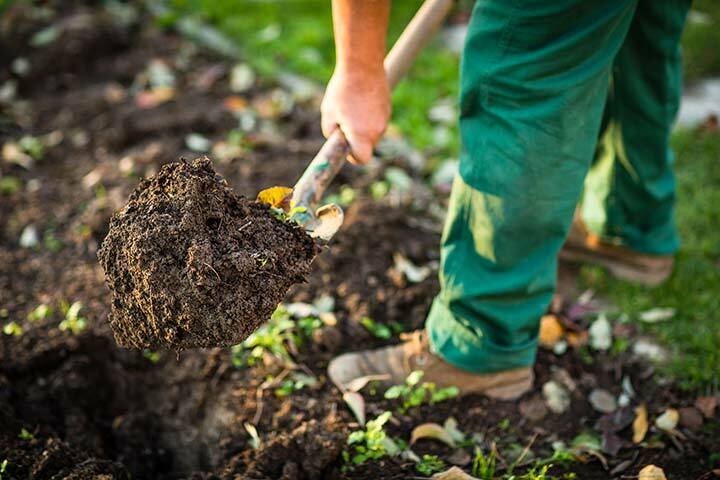 If you are in need of reliable, free dirt delivery, professional residential dirt grading assistance, and site work, get in touch with us at Dirt Connections today. We have the knowledge and experience to provide your property with what it needs, whether it is seeing that your yard grading is sloped properly, or delivering fill dirt for your grading and land projects.